We're experiencing a lot of the last firsts with Calvin being our last baby. Last first steps. Last first words. Last week we experienced our last first hair cut. Honestly, with the other two, their first hair cuts were a hack job by mom at home, and really it looked terrible. 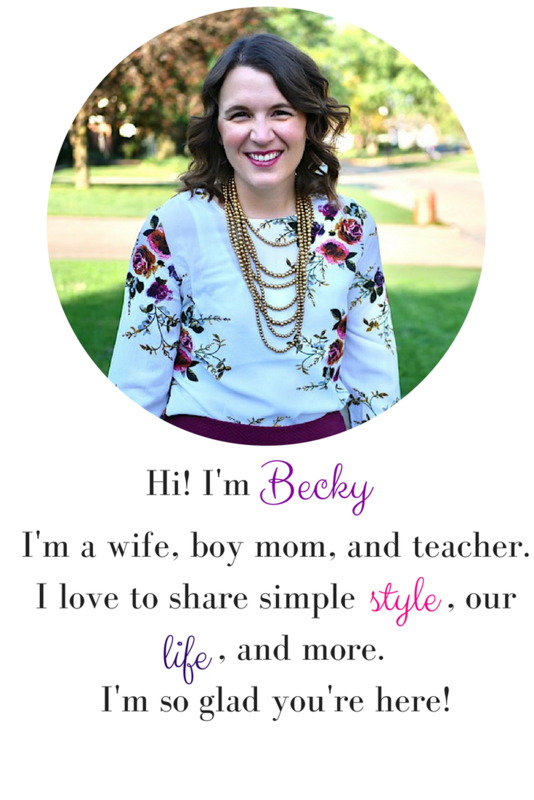 When Shear Madness offered to let us try out their salon in exchange for a review, I knew that it was a chance to do a last first right. If you're local, Shear Madness is right off of Jordan Creek Parkway in West Des Moines. They also have a location in Ankeny. They also have locations in other parts of the country, too. 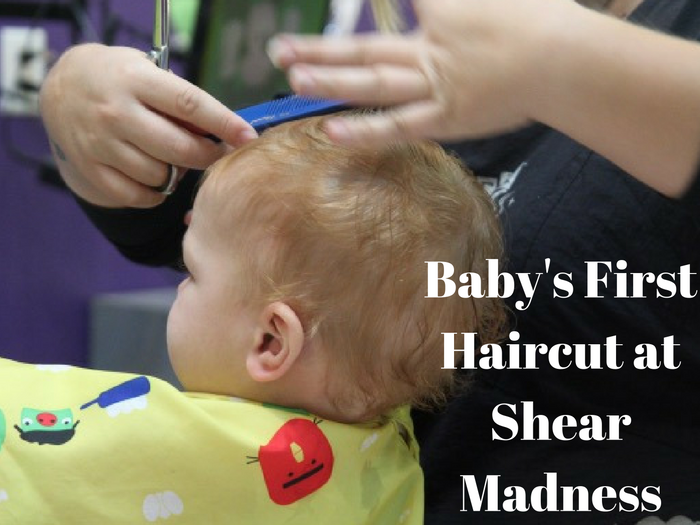 When we walked in, we were greeted by the staff and they showed me the details of what we would get from our Baby's First Haircut package. Walking into the salon, the big brothers were excited too because they got their hair cut. Each of them got to chose the vehicle they would sit in. They recommended Calvin sit in the airplane because it had a seat belt to keep him in, and I was right on board with that! Henry chose a jeep and Wesley chose a red sports car. Our stylist, Judy, got us all settled and took a before picture. She took the time to make sure the picture met my approval. You know how taking a picture of a one year old can be! Calvin was a little squirrely, but that didn't bother Judy one bit! She asked if she could give him a sucker to keep him occupied and she also had some other toys on hand to distract him while she worked. Our other two stylists for the big boys were great, too! They both asked my input on the cut and had great rapport with the boys. Each boy loved the car he was in. They also had TVs to watch while they got their cuts! Wesley had a big scrape on his forehead from an accident outside, and the stylist worked around it. She even offered that if there were some stray hairs under the bandage, we could come back in and get them trimmed. After the boys' cuts they each got a fun bracelet to take home. I forgot to get a good after photo of Henry with his glasses on, but he loved his cut! It looks great both styled and not. We got two sets of the before/after photos of Calvin. One was on a 12" x 12" sheet perfect for a scrap book and the other was on an 8 1/2" x 11" sheet. Both had locks of his sweet little hair attached, which I love. 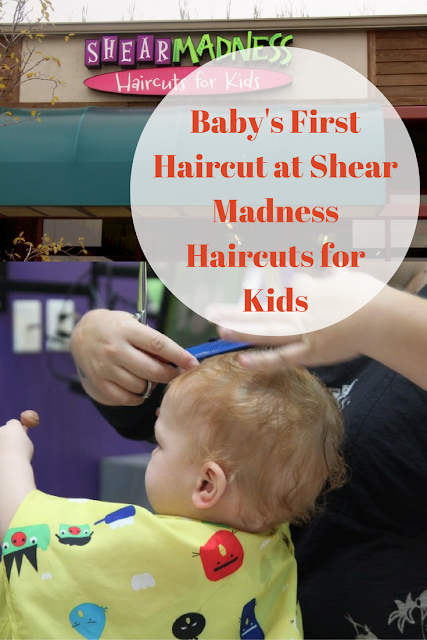 I was really pleased with our experience at Shear Madness. The owner, Erin, was wonderful to communicate with via email to set up our appointment and follow up with us after our visit. We will definitely be back! 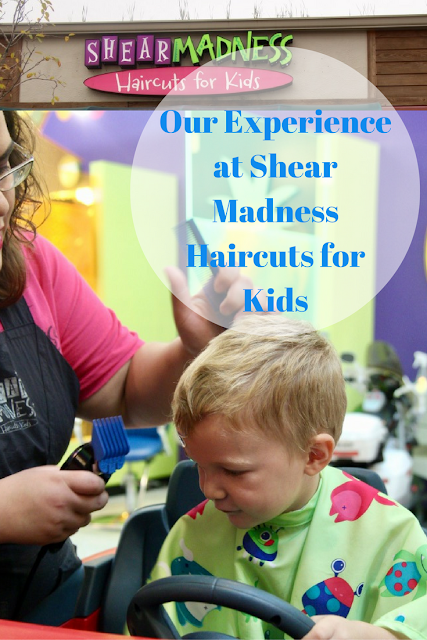 Do you have a Shear Madness is your area? If you're local or have one in your area, check out their salon. Your kids will love it! You can use this coupon to save $2 off $20 worth of services or retail! 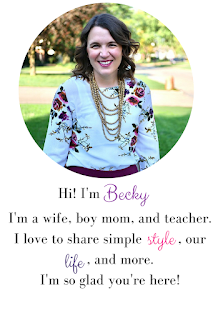 Thanks, Shear Madness for allowing us an experience in your salon for the blog! We loved it!